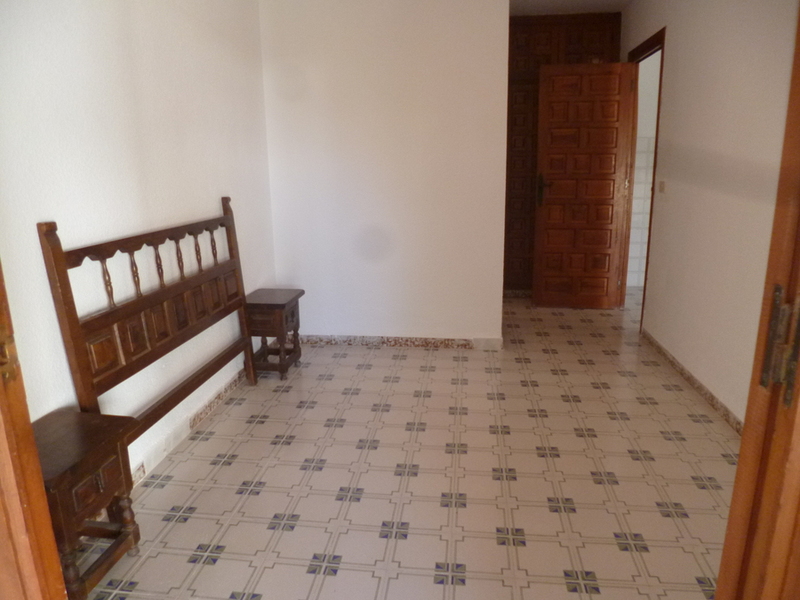 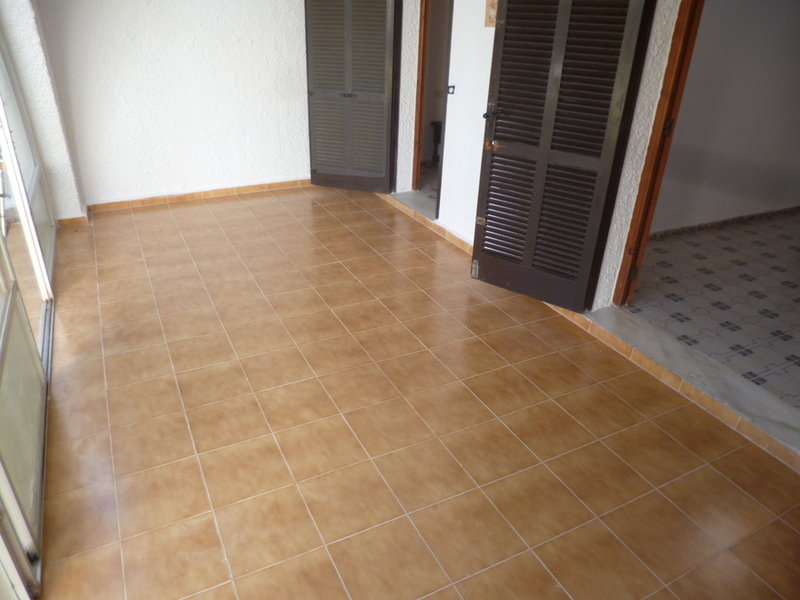 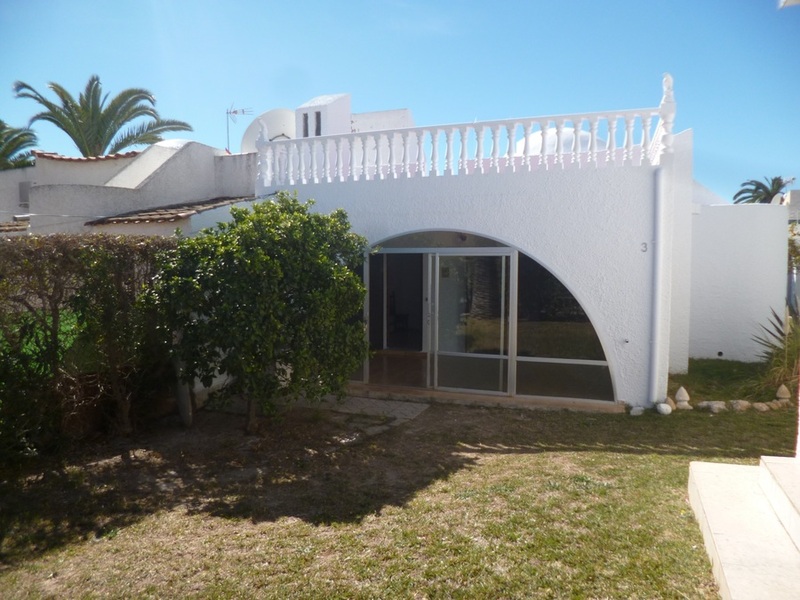 This is a beautiful Spanish bungalow with a traditional style in a very private urbanisation of La Florida. 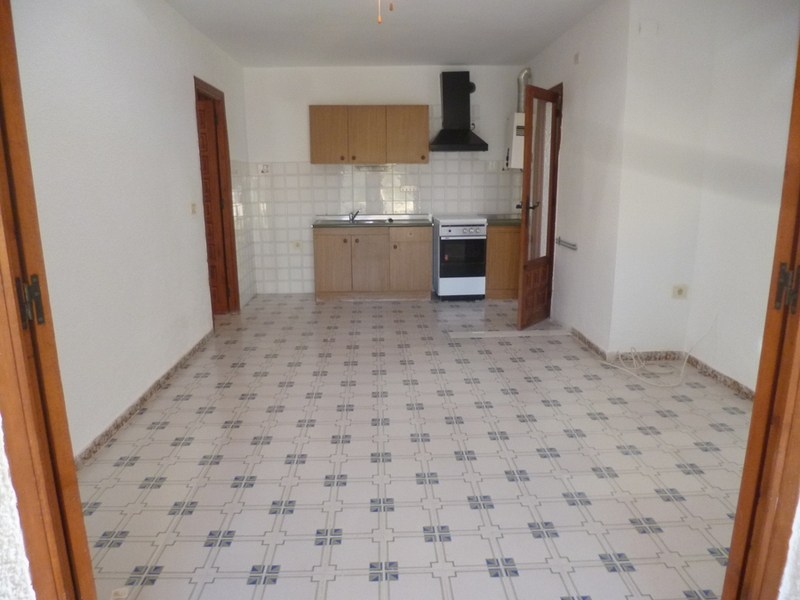 This property has 2 bedrooms, 1 bathroom and an open plan living/dining room with american style kitchen and a glazed in porch/terrace which can easily be converted in to extra living space. 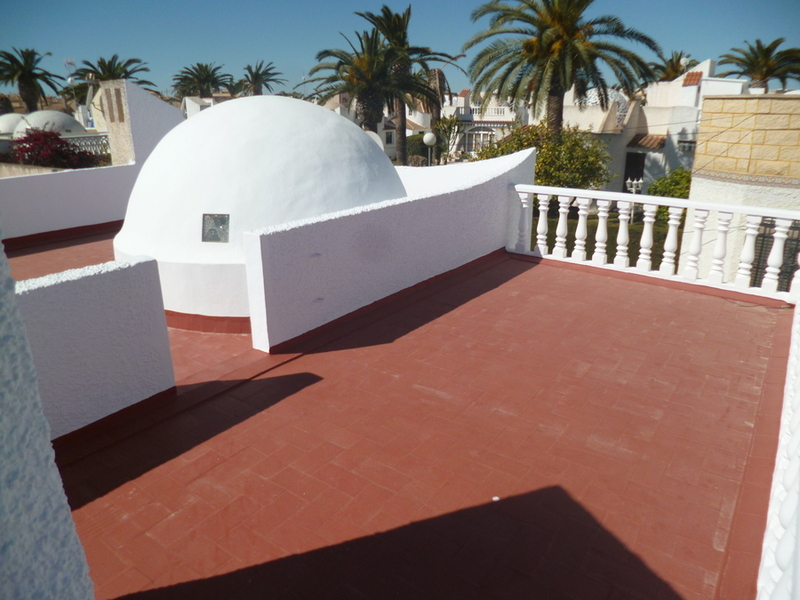 We then have the roof solarium catching the sun all day long. 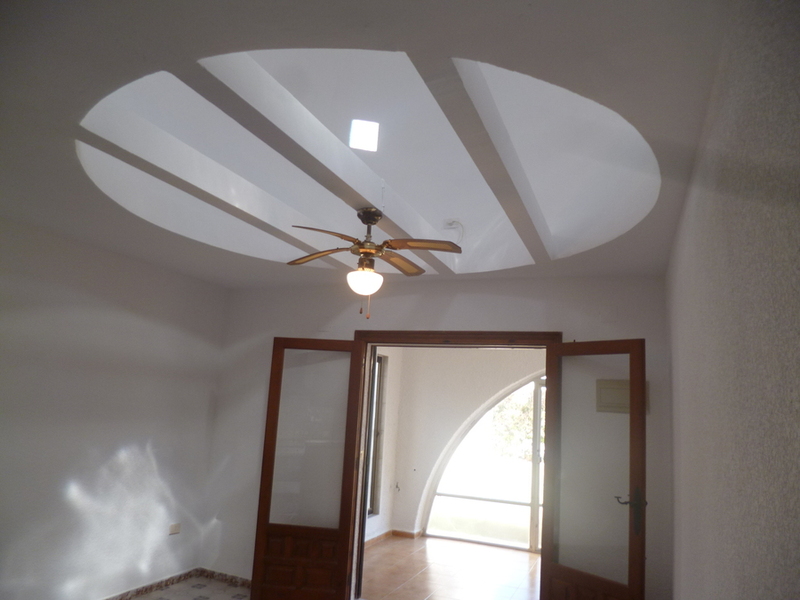 You will notice in this property the living room has a very unique vaulted ceiling with glass blocks installed making it very bright and open. 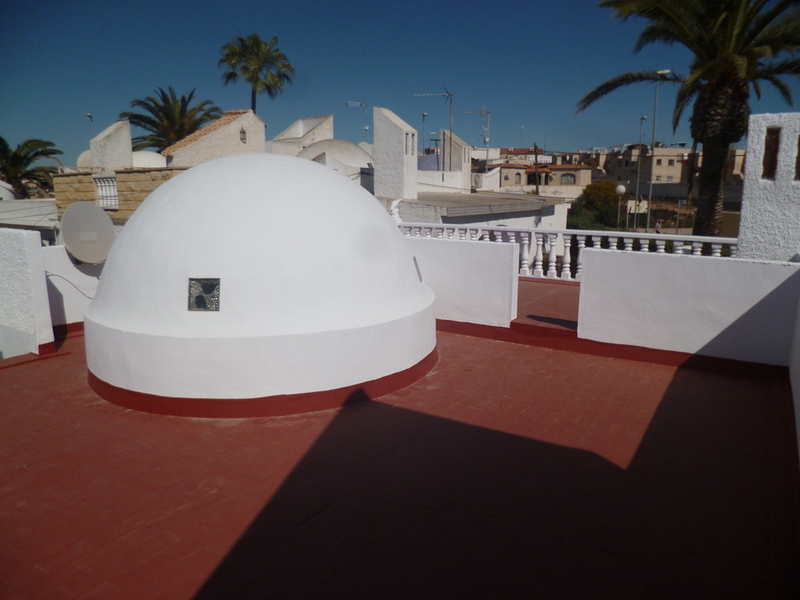 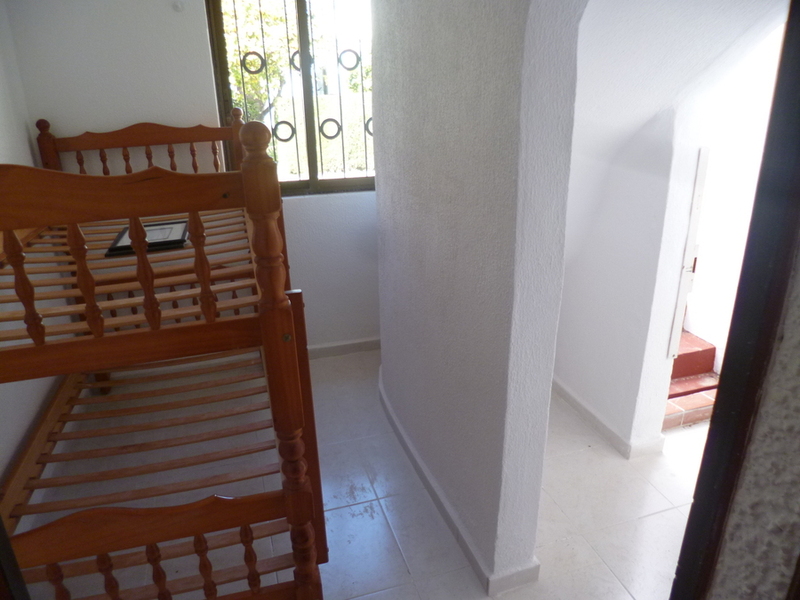 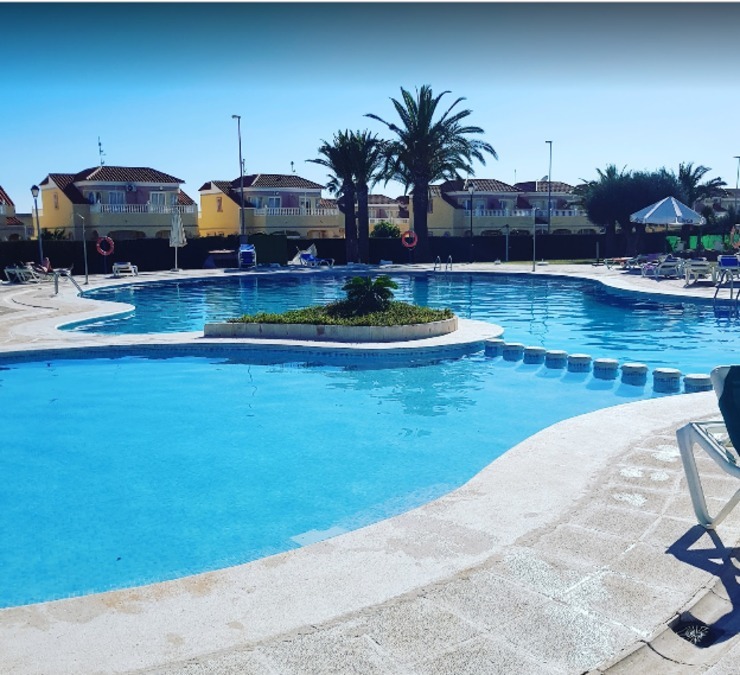 This property is very close to amenities with shops and bars just over the road along with a public swimming pool with bar and restaurant, we then have the famous La Zenia Boulevard just 2 minutes away by car.